Product prices and availability are accurate as of 2019-04-20 16:21:19 BST and are subject to change. Any price and availability information displayed on http://www.amazon.co.uk/ at the time of purchase will apply to the purchase of this product. 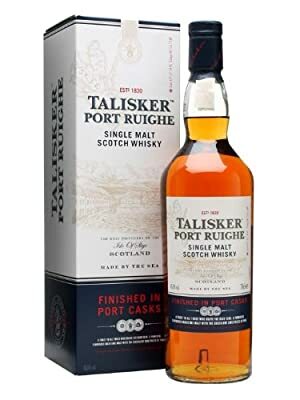 "70cl / 45.8% - You can spend years waiting for a new release in Talisker's core range then two come along at once. 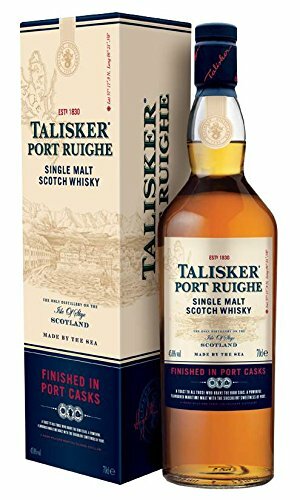 Hot on the heels of Talisker Storm in early 2013 comes Talisker's Port Ruighe, pronounced 'Port Ree'. This no age statement release is finished in Port wine casks, imparting a new dimension to this Isle of Skye single malt."